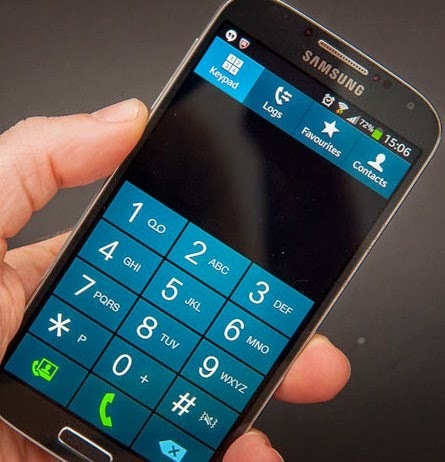 This article contains the recommended methods to troubleshoot Samsung Galaxy S4 issue on making and receiving calls. If you too encounter the same problem with your device, I suggest you keep reading on to have a hint on what has to be done to get S4 calling problem fixed. Before we begin troubleshooting the problem, let us first determine the possible causes of such problem to occur on your device. Follow these steps to help you determine and resolve the underlying cause of the issue. We suggest testing after completing each step to see if the issue is fixed. If not, then continue to the next step. A. Make sure Airplane Mode is disabled or turned OFF on your phone. 1. Get to the Home screen, then press and hold the Power key. 2. Tap on Airplane mode to continue. 3. Read the message and tap OK. Just follow the prompts to enable or disable airplane mode. Remember, this feature has to be turned off for now. You still can re-enable Wi-Fi and connect to a Wi-Fi network while Airplane mode is turned on or enabled on the device. B. Check your phone and see if it is connected to your carrier's voice network to make or receive calls. This method may vary depending on the carrier, so we suggest you call your network or service provider and ask them about voice network service. For example, Sprint customers would need to perform the following steps to verify if their phone is connected to the Sprint voice network for it to make or receive calls without having trouble. 1. Access Sprint Zone to get started. 2. Tap on My Device. 5. Tap on Network PRL. 6. Once the PRL update is finished, tap OK.
7. Now test your phone to see if it can already make or receive calls. If problem persists, continue to the next troubleshooting method. C. Check to see if network coverage is available at your current location or make sure you are within range of your ISP network. One indication that you may be far or out of your ISP network range is a low signal strength on your device. Call your service provider and verify with them your network range. D. Reset your phone's network settings. 1. Tap Phone from the Home screen. The last # may not show but that's okay. 3. Allow the phone to restart and initiate Hands Free Activation. Now test your phone again to see if this resolves the problem. Otherwise, we suggest you call your Internet service provider and have them check for any network outages occurring in your area.